Lynch Syndrome or Hereditary Non-Polyposis Colorectal Cancer (HPCC) is a type of a tumour that is inherited in an autosomal dominant manner and is associated with the predisposition to other cancer types. This means that people who suffer from Lynch Syndrome are more predisposed to develop certain types of cancers including colorectal, uterine, endometrial, and ovarian cancers. It is caused by an alteration in a set of genes called Mismatch Repair Genes. Lynch Syndrome is a silent condition and never gives any prominent symptoms. One of the first symptoms that indicate the presence of Lynch syndrome is the development of bowel or womb cancer. However, these symptoms are general in nature and can appear with other conditions as well. Hence it is best to get them evaluated by your doctor. What are the treatment options for Lynch syndrome? The treatment options available to a person diagnosed with Lynch Syndrome depends on the age of the individual, current health condition, stage, and location of cancer and personal preferences. Colon cancer in Lynch syndrome is treated in the same way as other colon cancer that develops without the presence of Lynch Syndrome. However, during surgical removal of the cancerous part of the colon, more of the organ is removed than in case of normal colon cancer as the chances of recurrence in Lynch syndrome are higher. Treatment for colon cancer in Lynch Syndrome includes surgery, chemotherapy, and radiation therapy. In cases of uterine or ovarian cancers associated with Lynch syndrome, ovaries and the uterus are removed surgically to prevent the spread of cancer, and recurrence. Sometimes the diagnosis of Lynch Syndrome could happen before the development of the associated cancer types. They are called previvors and are advised to undergo screening tests for various cancer types that they stand a risk of developing. How do you test for Lynch syndrome? Lynch Syndrome can be detected using a genetic test. Using this method it is possible to detect the gene variants that influence Lynch syndrome and accordingly devise the next steps. The test can determine if an individual is a carrier of a mutation that can be passed on in one of the genes that are associated with Lynch syndrome. Today, testing is available for MLH1, MSH2, MSH6, PMS2, and EPCAM genes. The other type of test is the tumour testing method that uses cells from cancerous tissues to determine if the individual has Lynch syndrome. These tests include Microsatellite Instability Testing (MSI) and Immunohistochemistry Testing (IHC). What is the prevalence of Lynch syndrome? Colorectal cancer is one of the top 3 cancers in the USA and about 1,33,000 people are diagnosed with it each year. However, uterine cancer is not as common as colorectal cancer. Only 55,000 cases are diagnosed each year in the USA and women have a 3% chance of developing uterine cancer in their lifetime. Which chromosomes are the Lynch Syndrome genes on? As we saw earlier, Lynch Syndrome is due to several mismatch repair genes. These are MSH2 and MSH6 on chromosome 2, MLH1 on chromosome 3, MSH3 on chromosome 5 and PMS2 on chromosome 7. Furthermore, mutations in any one of these genes cause an increased risk of developing colorectal cancer and other cancers. What are the cancers associated with Lynch syndrome? We know by now that individuals with Lynch syndrome have a higher risk of developing colon and womb cancers. Additionally, other cancers that these individuals are predisposed to include breast, bowel, prostate, liver, urinary tract, ovarian cancers, digestive, gastric, pyloric gland and duodenal adenomas. Lynch syndrome by itself is not cancerous. However, it predisposes an individual to various types of cancers mentioned above. Are colon cancer and pancreatic cancer-related? One of the factors that increase an individual’s risk of developing pancreatic cancer is genetic syndromes (that cause as many as 10% of the pancreatic cancers). One such condition is the link between Lynch Syndrome and the risk of colon cancer. So, in a way, Lynch syndrome increases one’s risk of developing both colon and pancreatic cancers. Can Lynch syndrome skip a generation? Lynch syndrome is a hereditary condition, which means that the genes responsible for the condition are passed on from the parents to the offsprings. With Lynch syndrome, there is a 50% chance that an individual passes them on to his/her offsprings. Therefore, this means that Lynch syndrome does not skip a generation and affects males and females equally. Lynch Syndrome is inherited in an autosomal dominant manner, which means that the offsprings with even one mutated gene stand a chance to develop the condition. What are the Lynch syndrome gene mutations? There are a few genes like the MLH1, MSH2, MSH6, and PMS2 that are responsible for the repair of errors that occur when DNA duplication occurs in the process of cell division. Therefore, mutations in these genes lead to the development of Lynch syndrome. Should I get tested for Lynch syndrome? Familial history of cancers often puts an individual at risk of developing them as well. The same holds true for colorectal and endometrial cancers, that are predominantly seen in case of Lynch syndrome. If you have a history of colorectal cancer in the close or far family, it is best to speak with your doctor or a genetic counsellor. They will review your family history and determine whether you have Lynch syndrome or other associated symptoms. They will advise you if you need genetic testing or not. 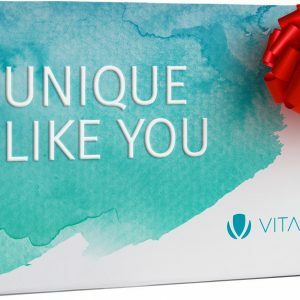 But, you should know that while genetic testing will help detect any gene mutations, they are not absolutely perfect and might not work for a small fraction of people. Does Lynch Syndrome cause polyps? It has been studied at the University of Texas MD Anderson Cancer centre that even before colorectal or colon cancer develops, the immune system activation takes place that gives rise to colon polyps in patients with Lynch Syndrome. Moreover, the study also suggested that immune activation takes place before the gene mutations actually occur. Non-polyposis in HPCC or Hereditary Non-polyposis Colorectal Cancer also called Lynch syndrome, meaning that colorectal cancer occurs when there are very few numbers of polyps or sometimes no polyps at all. Furthermore, in families who have a history of HPCC, colon cancer may occur or begin to occur on the right side of the colon. Like in most disease conditions, including cancers of various types, diet plays a significant role in their prevention and development. When it comes to colorectal cancer, a diet low in fibre, high in red meat and very few vegetables increases the risk of developing the condition. What does one do when one is predisposed to colon or colorectal cancers as part of Lynch syndrome? Well, one needs to be careful about what he/she is consuming in the daily diet. Avoiding refined sugar, on which cancer cells and other cells feed on, is the primary thing to do. Moreover, foods to strictly avoid include red meat of all types. In fact, it is best to go vegetarian or vegan and include lots of fibres from grains, vegetables and fruits, and lots of antioxidants in the diet to reduce the risk of developing colorectal cancer, especially when detected with Lynch syndrome. Is Lynch syndrome an autoimmune disease? Lynch syndrome is not an autoimmune disease but patients with autoimmune diseases like Sjogren’s syndrome, Rheumatoid arthritis or Systemic Lupus Erythematosus (SLE) have an increased risk of developing malignancies, especially lymphoid malignancies. In fact, it is a challenge to treat patients with rheumatoid arthritis as some medications used to treat a severe form of the condition need to be carefully used in patients with a history of malignancy. Is Lynch Syndrome a Rare Disease? Lynch syndrome is not a rare disease. Moreover, it accounts for 2-4% of all colorectal cancer cases and 2.5% of endometrial cancer cases. How much is genetic testing for Lynch syndrome? Genetic testing is becoming increasingly popular and important to determine one’s predisposition or risk to developing many hereditary, genetic and metabolic conditions. Genetic testing for colon cancer syndromes like Lynch syndrome costs anything between $400 to $5000. Additionally, the test results can take about a few days to a few months to arrive and are often suggested by genetic counsellors in specific cases. What diseases can 23andMe detect? Its health predisposition tests help in determining an individual’s tendency to develop certain conditions like Type 2 diabetes, Celiac disease, BRCA1 and BRCA2 (cancer-related genes), Late-onset Alzheimer’s disease, Parkinson’s disease, etc. 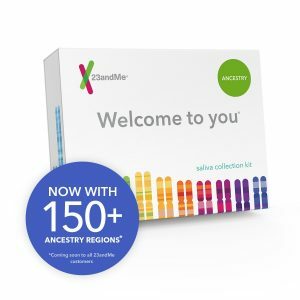 23andMe offers carrier tests for over 40 diseases that help couples understand their inherited conditions that can pass on to their future child. Moreover, this test helps detect conditions like sickle cell anaemia, cystic fibrosis, Lynch syndrome to name a few. 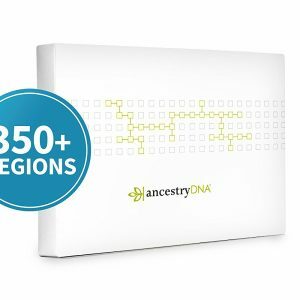 23andMe also helps evaluate how one’s genes play a role in the wellness and general health of the individual. What health risks does the 23andMe health report cover? 23andMe tests assess the genetic health risks for conditions like Celiac disease, Alzheimer’s disease, and Parkinson’s disease. Does 23andMe tell you if you have a disease? 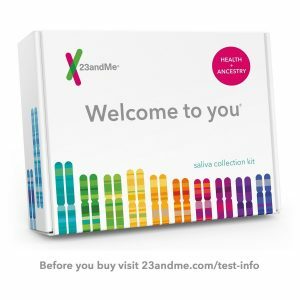 23andMe does not include diagnostic tests. All the tests it provides – carrier status, health predisposition, wellness, and trait reports are all suggestive and indicative. They, at no point, are definitive or diagnostic in nature. 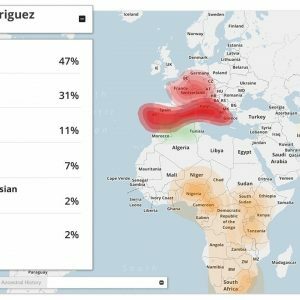 Furthermore, using the genetic tests offered by 23andMe, one can understand what risks he/she has for developing a condition before the condition actually sets in. This helps to prevent the condition by early intervention and treatment. Xcode Life’s Carrier Status Report provides information on openness, extraversion ness, intelligence, entrepreneurship potential, and more than 25 such traits.